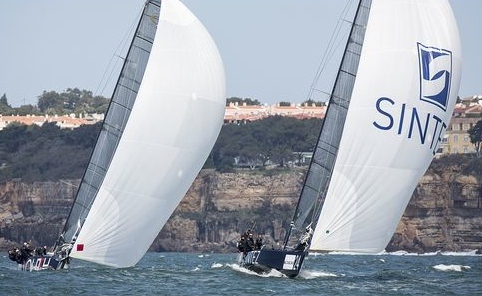 The RC44 Cascais Cup fleet were treated to sunshine and a gusty Atlantic breeze that built to 20 knots as the day progressed for the first day of the five day regatta. 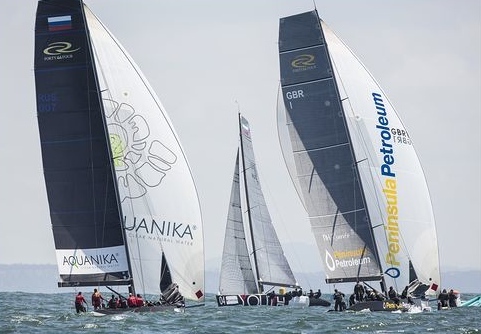 Today the RC44’s competed in seven flights of match racing championship that saw Synergy, with three time Match Racing World Champion and 32nd America’s Cup winning helmsman Ed Baird in charge lead the crew to win all six of their matches. “The boys did such a great job in terms of getting the boat around the race track - things fell into place really nicely. It gives the guys a different look. It is so much fun to match race these boats and it is a nice, fair, strong fleet that works really hard at it,” Baird said. 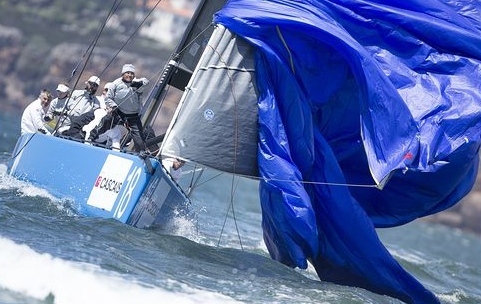 One of the hardest fought of today’s races for Baird was against the Gazprom Youth Sailing Challenge, when he ended up pushing them so they were within a hair’s breadth of colliding with the Race Committee boat in the pre-start. “It was quite similar in all of our starts, but we were able to extend forward on whoever the competitor was,” Baird added. It was an unfortunate day for Team Aqua, despite only having dropped one of their six matches to Aleph Racing. 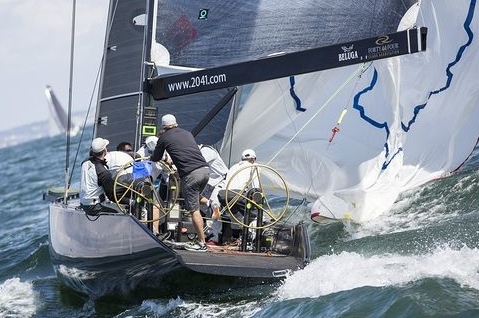 With owner Chris Bake away today, as usual the helm passed to RC44 veteran Cameron Appleton. 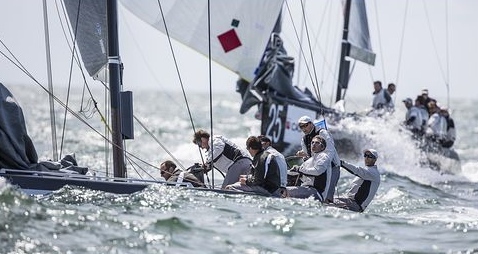 “On the water they sailed better than us, but in the pre-start we managed to hit them, which is not ideal. We came in and had a nice opportunity to get a hook on them. One boat was going up a wave and the other going down a wave and the next thing was that the boats came together and there was nothing you could do about it –we landed on their back quarter, which is a terrible mistake on my part,” Appleton said. In the collision, Team Aqua’s bow hit Aleph at the waterline and tonight Aqua’s shore crew will be busy effecting repair work. One of the surprises today came from Katusha, with newcomer Vladimir Sokolov at the helm. Having only sailed for the first time in his life at the RC44 Virgin Gorda Cup ten weeks ago, Sokolov with today only his 20th day sailing. “We decided that it was best if he went and had his first ever match race today. I helped him in tough situations and he still won three races out of five. So he is on fire and is fully excited about it,” Katusha tactician Andy Horton said. Katusha’s toughest race today was against Italian Andrea Pozzi’s team on Bombarda, when Katusha picked up a penalty in the pre-start but had enough of a lead to complete their turn on the finish line to score the win. “Vladimir even beat a Match Racing World Champion - Mathieu Richard. And the coolest thing is that Vladimir doesn’t even know who he is,” added Horton. 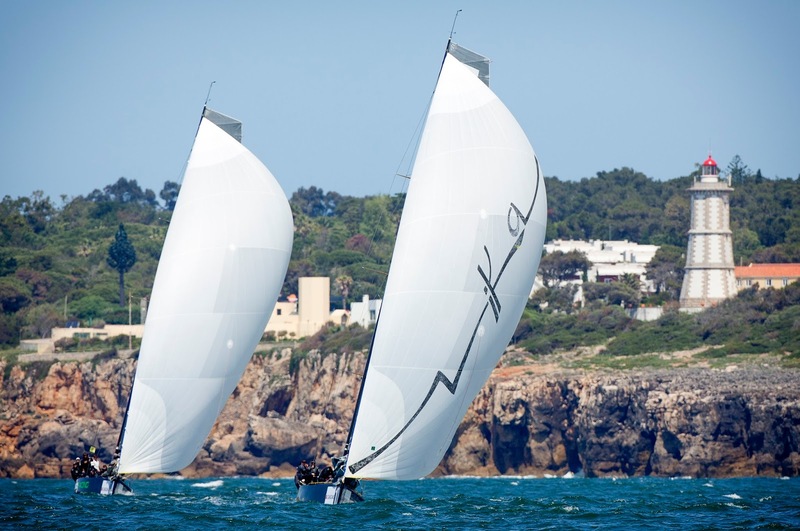 Fleet racing at the RC44 Cascais Cup, kicks off tomorrow at 11.30 local time, and the forecast is for even stronger conditions than today.